I was a bit nervous about the third BoF (on using Debian money to fund Debian projects) but discussed with many persons during the week and it looks like the project evolved quite a bit in the last 10 years and while it’s still a sensitive topic (and rightfully so given the possible impacts) people are willing to discuss the issues and to experiment. You can have a look at the gobby notes that resulted from the live discussion. I spent most of the time discussing with people and I did not do much technical work besides trying (and failing) to fix accessibility issues with tracker.debian.org (help from knowledgeable people is welcome, see #830213). I uploaded a new version of zim to fix a reproducibility issue (and forwarded the patch upstream). 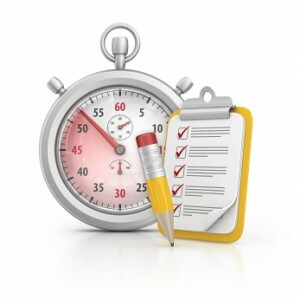 I uploaded Django 1.8.14 to jessie-backports and had to fix a failing test (pull request). I uploaded python-django-jsonfield 1.0.1 a new upstream version integrating the patches I prepared in June. I managed the (small) ftplib library transition. I prepared the new version in experimental, ensured reverse build dependencies do still build and coordinated the transition with the release team. This was all triggered by a reproducible build bug that I got and that made me look at the package… last time upstream had disappeared (upstream URL was even gone) but it looks like he became active again and he pushed a new release. I filed wishlist bug #832053 to request a new deblog command in devscripts. It should make it easier to display current and former build logs. I made an open-vm-tools NMU to get the package back into testing. I filed #830795 on nautilus and #831737 on pbnj to forward Kali bugs to Debian. I wrote a fontconfig patch to make it ignore .dpkg-tmp files. I also forwarded that patch upstream and filed a related bug in gnome-settings-daemon which is actually causing the problem by running fc-cache at the wrong times. I started a discussion to see how we could fix the synaptics touchpad problem in GNOME 3.20. In the end, we have a new version of xserver-xorg-input-all which only depends on xserver-xorg-input-libinput and not on xserver-xorg-input-synaptics (no longer supported by GNOME). This is after upstream refused to reintroduce synaptics support. I filed #831730 on desktop-base because KDE’s plasma-desktop is no longer using the Debian background by default. I had to seek upstream help to find out a possible solution (deployed in Kali only for now). I filed #832503 because the way dpkg and APT manages foo:any dependencies when foo is not marked “Multi-Arch: allowed” is counter-productive… I discovered this while trying to use a firefox-esr:any dependency. And I filed #832501 to get the desired “Multi-Arch: allowed” marker on firefox-esr. Prepared and released DLA-301-1 fixing 2 CVE in python-django. Did one week of “LTS Frontdesk” with CVE triaging. I pushed 11 commits to the security tracker. For the concrete work I did during DebConf, I can only claim two schroot uploads to fix the lack of support of the new “overlay” filesystem that replaces “aufs” in the official Debian kernel, and some Distro Tracker work (fixing an issue that some people had when they were logged in via Debian’s SSO). As a Kali developer, I attended multiple sessions related to derivatives (notably the Debian Derivatives Panel). I was also interested by the “Debian in the corporate IT” BoF led by Michael Meskes (Credativ’s CEO). He pointed out a number of problems that corporate users might have when they first consider using Debian and we will try to do something about this. Expect further news and discussions on the topic. Martin Kraff, Luca Filipozzi, and me had a discussion with the Debian Project Leader (Neil) about how to revive/transform the Debian’s Partner program. Nothing is fleshed out yet, but at least the process initiated by the former DPL (Lucas) is again moving forward. GPG issues with smartcard. Back from DebConf, when I wanted to sign some key, I stumbled again upon the problem which makes it impossible for me to use my two smartcards one after the other without first deleting the stubs for the private key. It’s not a new issue but I decided that it was time to report it upstream, so I did it: #2079 on bugs.gnupg.org. Some research helped me to find a way to work-around the problem. Later in the month, after a dist-upgrade and a reboot, I was no longer able to use my smartcard as a SSH authentication key… again it was already reported but there was no clear analysis, so I tried to do my own one and added the results of my investigation in #795368. It looks like the culprit is pinentry-gnome3 not working when started by the gpg-agent which is started before the DBUS session. Simple fix is to restart the gpg-agent in the session… but I have no idea yet of what the proper fix should be (letting systemd manage the graphical user session and start gpg-agent would be my first answer, but that doesn’t solve the issue for users of other init systems so it’s not satisfying). Distro Tracker. I merged two patches from Orestis Ioannou fixing some bugs tagged newcomer. There are more such bugs (I even filed two: #797096 and #797223), go grab them and do a first contribution to Distro Tracker like Orestis just did! I also merged a change from Christophe Siraut who presented Distro Tracker at DebConf. I implemented in Distro Tracker the new authentication based on SSL client certificates that was recently announced by Enrico Zini. It’s working nice, and this authentication scheme is far easier to support. Good job, Enrico! tracker.debian.org broke during DebConf, it stopped being updated with new data. I tracked this down to a problem in the archive (see #796892). Apparently Ansgar Burchardt changed the set of compression tools used on some jessie repositorie, replacing bz2 by xz. He dropped the old Packages.bz2 but missed some Sources.bz2 which were thus stale… and APT reported “Hashsum mismatch” on the uncompressed content. Misc. I pushed some small improvement to my Salt formulas: schroot-formula and sbuild-formula. They will now auto-detect which overlay filesystem is available with the current kernel (previously “aufs” was hardcoded). When I think about Margarita, I always remember her as a friendly and welcoming person. Like most of the Debian Women members by the way. But she likes to spread some love and organized a Debian Appreciation Day for example. I think I met her in real life for the first time at Debconf 6 in Oaxtepec (Mexico). She deeply cares about Debian in general. She has proven it multiple times with her DPL candidacy and by giving talks like Making Debian rule again. One last thing, Debconf11 is just over and you will see that Debconf4 has had a big influence on Marga. My advice is simple: next time there’s a Debconf on your continent, make sure to take a few days off and come to meet us! It really gives another picture of the Debian community. Now let’s proceed with the interview. Margarita: I’m Margarita Manterola, a Software Developer from Argentina. I work developing software in Python in a Debian-friendly company during the day, and teach programming at a local university during the evenings. I’m married to Maximiliano Curia who is also a Debian Developer, most of our Free Software work has been done together. I only maintain a handful of packages in Debian, I’m more interested in fixing bugs than in packaging new software. I’ve also been a part of the organizing team of many of the previous Debian Conferences. One of the biggest commitments and the biggest success of my participation in Debian was being part of the organizing team of DebConf8, in Argentina. Margarita: I started using Debian around 2000. Soon after we had learned the grips of general GNU/Linux usage, Maxy and I started giving an introductory course at our local university, and became quite involved with the local LUG. At some point in 2002/2003 I became a “Debian Bug Reporter”: most of my friends would report bugs to me, and I would then write them in the proper form to the BTS. I would also be very attentive about reporting any bugs that I might encounter myself trying to create good bug reports. The turning point in my participation in Debian was DebConf4 in Porto Alegre, Brazil. Being so close to Argentina meant that we felt specially invited to be there, and Maxy and I decided to go to DebConf for our honeymoon. We didn’t really know much about DebConf dynamics, but we were really eager to learn more about Debian and become more involved. What happened was that meeting with DDs from all over the world transformed our lives, we became part of the “Debian family” and wanted to be more and more involved. Soon after that we both started maintaining packages and not long after that, applied to become Developers. The Debian Women project also meant a lot to me. I felt encouraged all along the way, encouraged to learn, to ask questions and to lose the fear of making mistakes. I became a Debian Developer on November 2005. Since then, Debian has always been one of the most important things I do in my life. Raphael There was a Debian Women BoF during debconf. What are the plans for Debian Women in the upcoming months? One of the many points that came up during the BOF is that many people “Want to help” but don’t know where to start or how to go about it. It’s a challenge for the Debian Women project to find a way to allow these people to become involved in Debian through “Mini projects” or something like that. 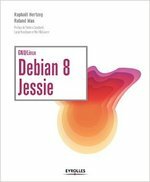 Another of the subjects that was brought up was the Debian Women mentoring project, which has been going on for quite a while now, but lacks enough publicity. So, we need to reach more people about it, and maybe also improve it with some templates, similar to the New Maintainer templates, so that mentees that don’t know where to start have some sort of general path to follow. Raphael: You created very useful diagrams documenting how package maintainer scripts are invoked by dpkg. How did you do it and was that a useful experience? Margarita: I did those diagrams to be able to answer one of the questions in the NM templates, regarding the order of the maintainer script execution. Answering the question in text was basically copying and pasting the part of the Debian Policy that explained it, which wasn’t really too clear for me, so I decided to go and make a diagram of it, so that I could really understand it. I did it by the best of all debugging techniques: adding prints to each of the maintainer scripts, and testing them in all the different orders that I could think of. Raphael: You participated in a DPL election. This is a big commitment to make. What were your motivations? Margarita: As I said, I was part of the organizing team of DebConf8, in Argentina. Which was quite a success, a lot of people enjoyed it and praised the good work that had been done by the local team. During said DebConf8, I had a dream (it was almost a nightmare, actually): I woke up and just like that, I was the DPL. I spoke to some people about this dream and to my complete surprise many said that I should actually do it. After giving that possibility a year and a half of thoughts, during the 2010 campaign I was talked into participating myself as a candidate, and it was a very interesting experience. However, I’m very glad that Zack got elected and not me, I think he makes a much better DPL that I would have made. Margarita: I think the main problem that we have is our communication, both inside the project and outside the project. Most of us are very technical people, our skills lay in the technical part of Debian (preparing packages, fixing bugs, writing software, administering systems) not in the social part. And thus, we lack a general empathy that is quite needed when interacting with people from all over the world. Margarita: Not particularly. I do want it to be a great release with good quality, stable software. I would also like to keep making Debian more and more “universal” with each release, making it more user friendly, more accessible, and more robust than any other previous release. 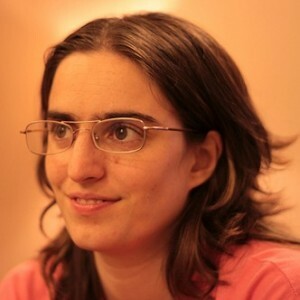 Margarita: I admire a lot of people in Debian. There’s a lot of people that contribute a lot of time to Debian, amounts of time that I can’t begin to understand how they can afford. I admire Stefano Zacchiroli, our current project leader. And Steve McIntyre, the project leader before him. Also Bdale Garbee, who’s also been a DPL in the past. Making this list I realize that Debian has been blessed by quite a number of great leaders in the past. I admire Holger Levsen, for his contributions to the DebConf video team, that have made it possible year after year for the whole project to participate in DebConf remotely. I admire Steve Langasek and Andreas Barth (etch is still my favourite release). I admire Christian Perrier for his work on internationalization. I admire Joerg Jaspert for the incredible amounts of time that he puts into Debian. And actually, I could go on admiring people all night long. I admire so many people that this interview could become a very boring list of names. I guess it’s better to leave it at saying that Debian is lucky to have quite a lot of excellent hackers around. Thank you to Marga for the time spent answering my questions. I hope you enjoyed reading her answers as I did. Subscribe to my newsletter to get my monthly summary of the Debian/Ubuntu news and to not miss further interviews. You can also follow along on Identi.ca, Twitter and Facebook.